I know I know the buzz of Mother’s Day has passed… exactly a week ago. But good things should never end, especially when it comes from a young 6-year old. 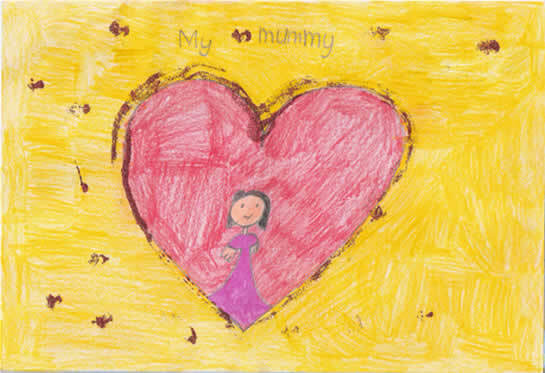 As they say, “It’ better late than never.” My daughter painted a Mother’s Day card for her mom last Friday in school. When I first looked at J’s card, I was stunned. I might be a bit biased but when you take a look at the card later, you might want to agree with me. Because of you, the world is warmer, better, and full of hopes. 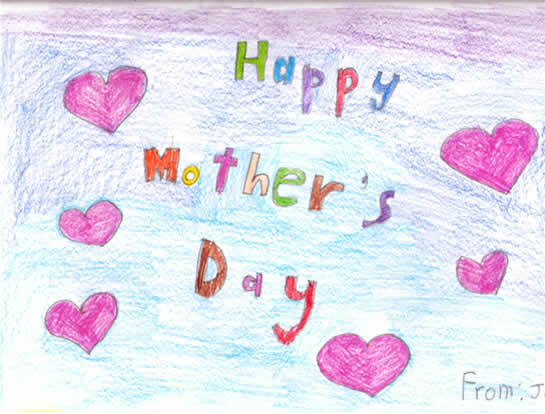 Now here is J’s Mother’s Day card that I told you about… and this is for you too. Enjoy! © 2009 J and ParentWonder.com. All rights reserved. Do you know what the six hearts represent?